1. To support and carry out basic scientific research that will advance society’s general knowledge of our world. 2. To use applied science to answer questions and issues facing our communities. 3. To provide specific responses based on sound scientific principles to government and private sector initiatives. 4. To publish quality scientific articles, or to assist in their publication. 5. To organize scientific seminars and conferences at the university or elsewhere. 6. To maintain on-going relationships with other scientific centers in Egypt that will support collaboration on scientific research. SVU-International Journal of Agricultural Sciences (SVU-IJAS) is a peer-reviewed international open access official Agricultural Journal of the South Valley University, Egypt and publishes original research articles dealing with Agricultural sciences. Open access: All articles published by SVU-IJAS are made freely and permanently accessible online immediately upon publication, without subscription charges or registration barriers. JSVUES is a peer-reviewed journal established in 2010 and published by Center of Community Service and Envoronmental Affairs at South Valley University. It aims to foster interdisciplinary communication and promote understanding of significant environmental issues. The journal seeks to publish significant and novel research on the fate and behaviour of emerging contaminants, human impact on the environment, human exposure to environmental contaminants and their health effects, and environmental remediation and management.online. SVU-IJVS is a peer-reviewed international open access official Veterinary Journal of the South Valley University, Egypt and publishes original research articles dealing with Veterinary sciences. The official journal of the South Valley University, Qena, Egypt. The IJBS examines the entire range of basic science topics. The journal features peer-reviewed original and review articles on such topics as: Geology, Biology, Zoology, Chemistry, Biochemistry, Computer science, Engineering, Mathematics, Medical science, Microbiology, Natural science, Statistics, Physics, and other related applied basic sciences fields. 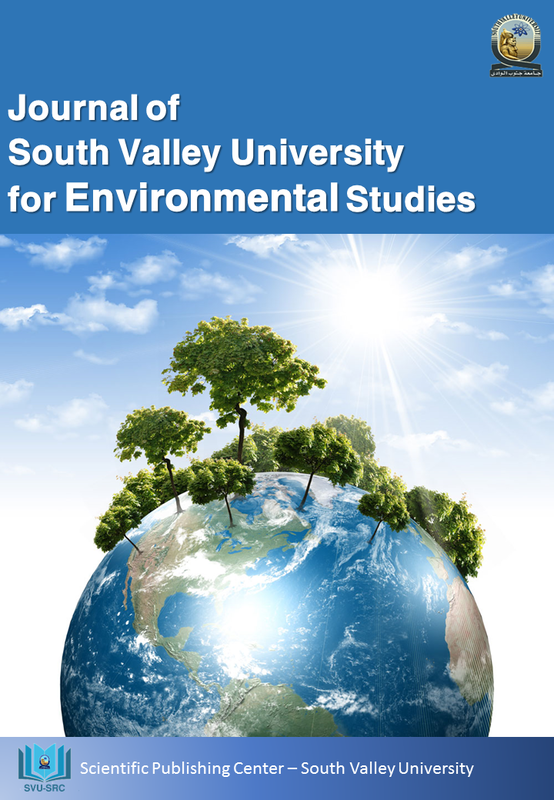 South Valley University International Journal of Educational Sciences is Electronic Journal include, but are not limited to psychology, Mental Health, Comparative Education, Educational Technologyو Curriculum and Methedology , So The Journal welcomes and publishes insightful Educational Sciences related research.